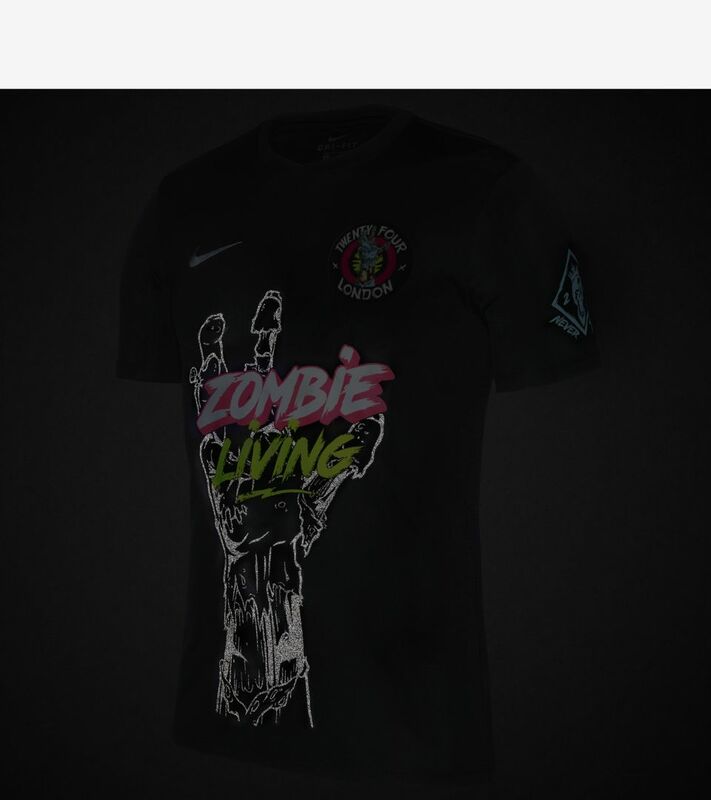 The entire Jersey boasts a bold zombie theme, paying tribute to hard work. 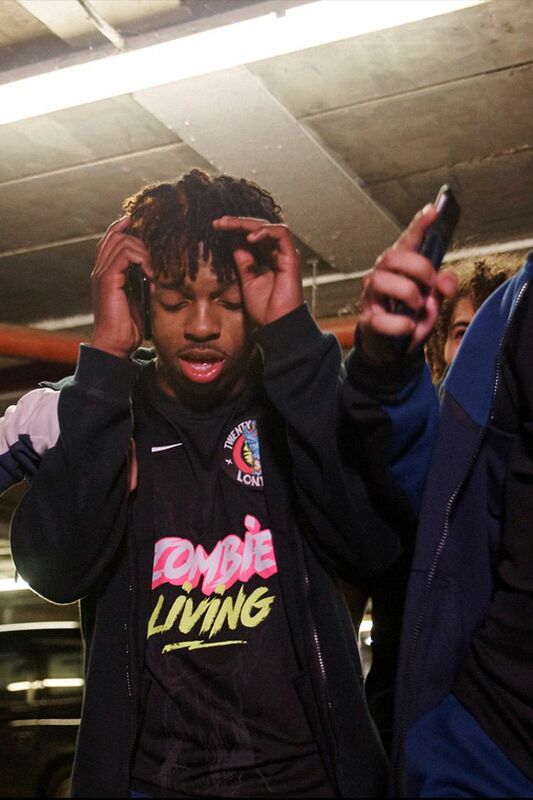 Zombies never sleep, hustlers never sleep on their dreams. 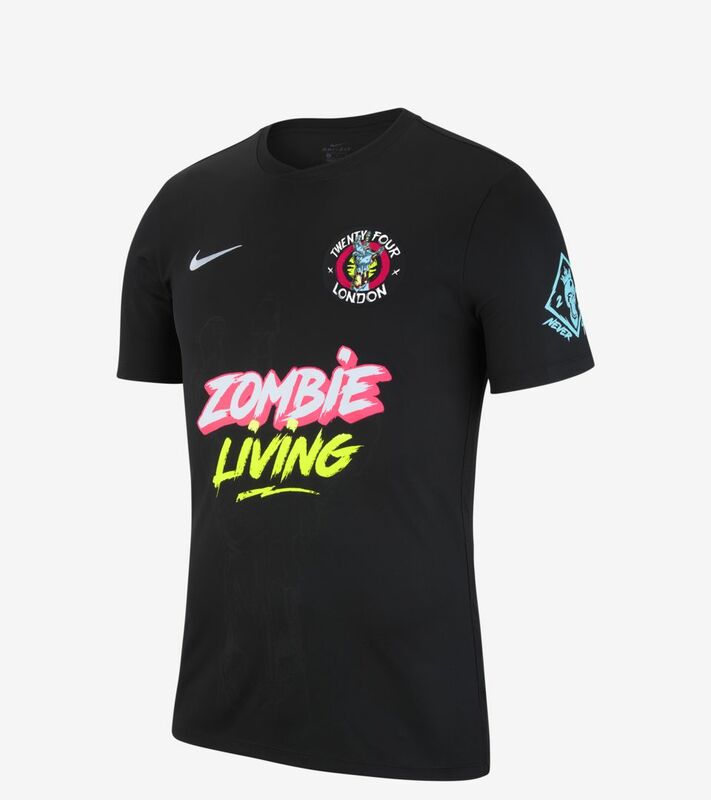 The sponsor features 24 London’s mantra, “Zombie Living,” emphasizing that anybody wearing the shirt is tireless. 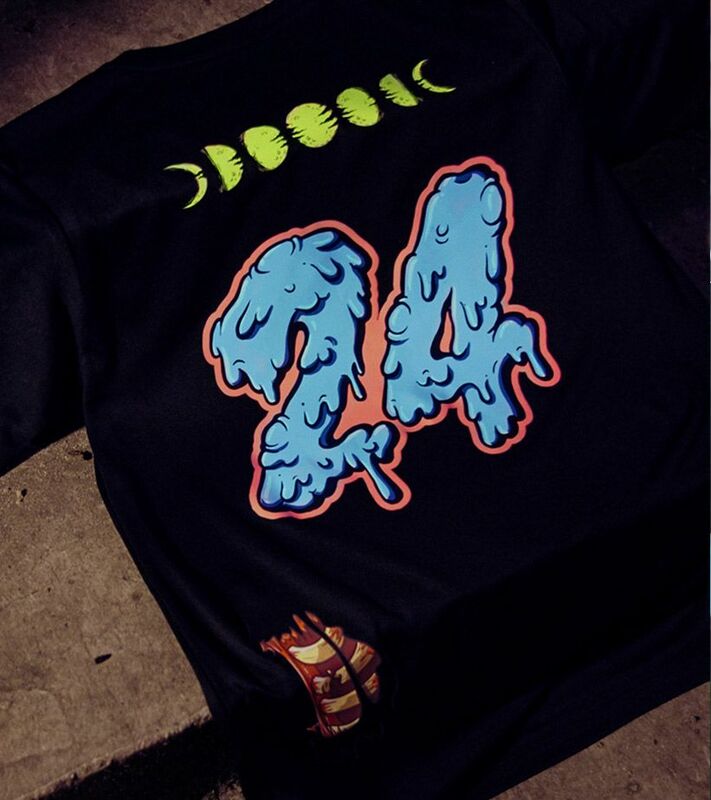 On the back, 24is the only number that matters, featuring a slime treatment. 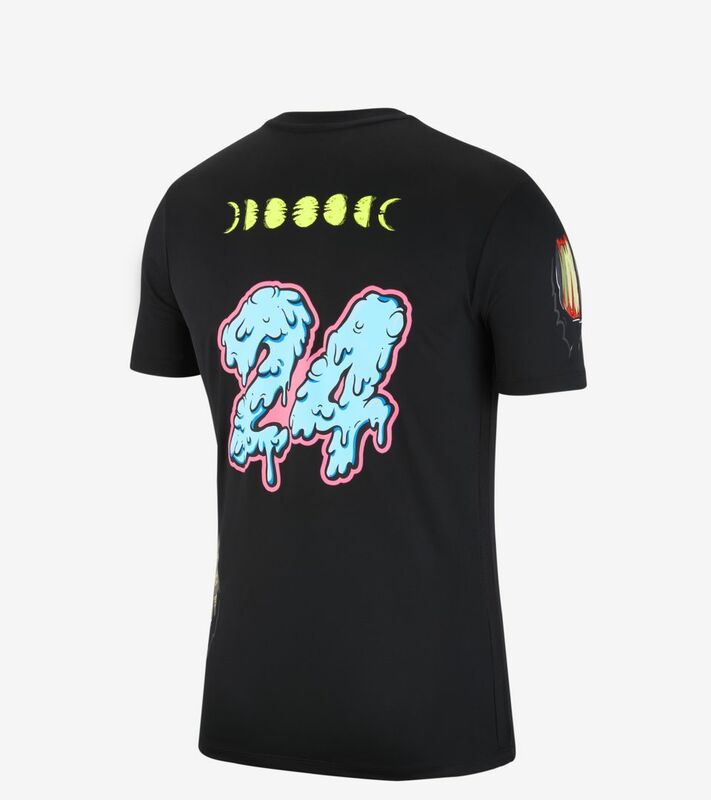 Sitting above the number, seven moons showcase the full lunar cycle, paying tribute to the brand’s relentless 24/7nature. 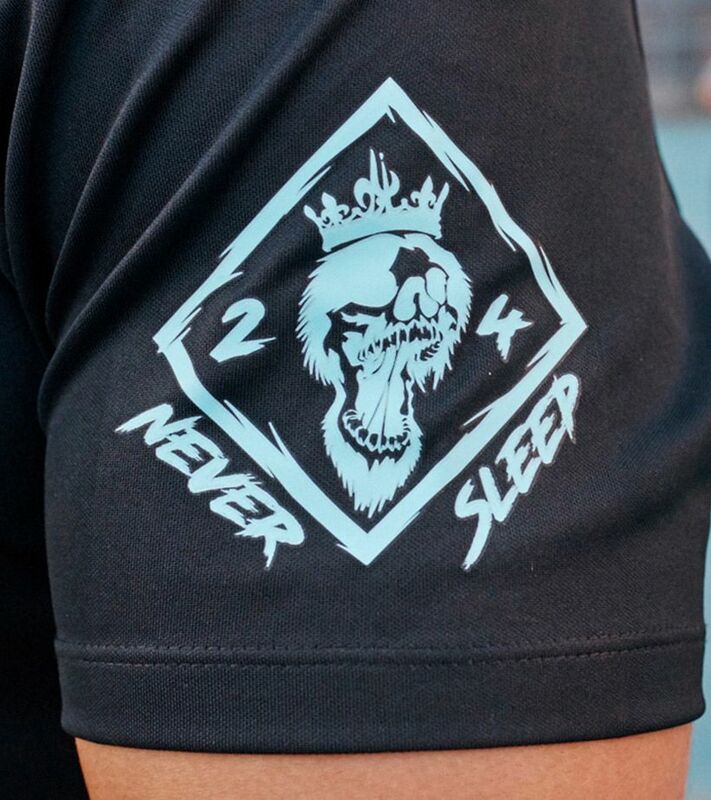 The kit is complemented by a “Never Sleep” sleeve badge, which acts as a bold statement of intent to fight against the odds and make your own success. 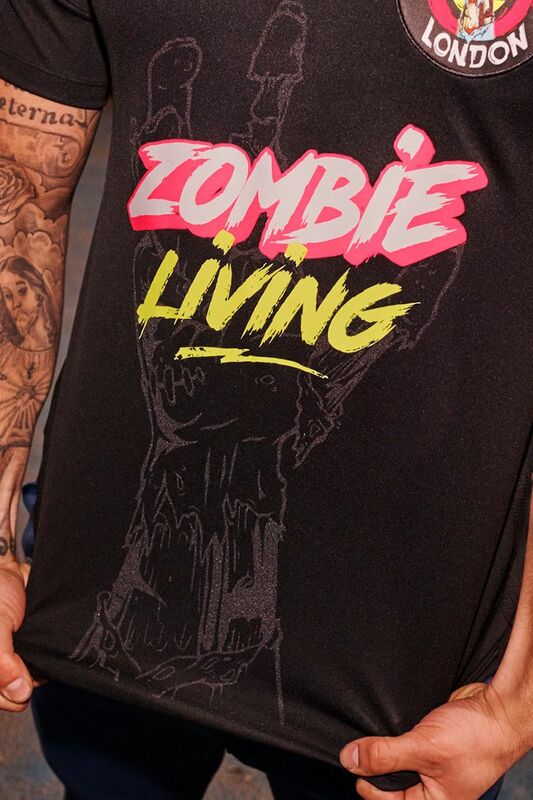 Exposed flesh and bone details feature on the ribs and the shoulder as an overt homage to the Zombie Living attitude. 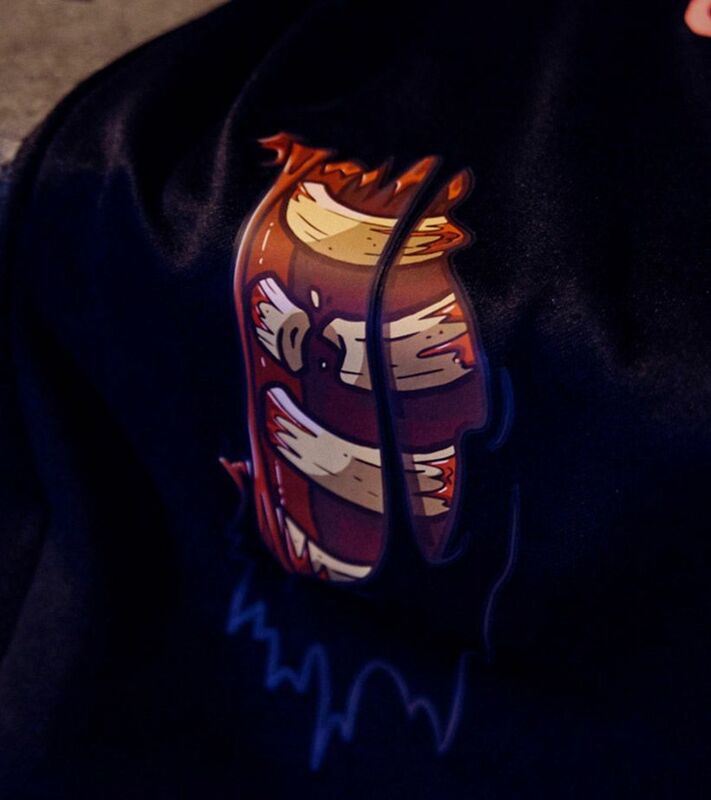 Finally, the strong neo color scheme used throughout represents the energy of London at night. 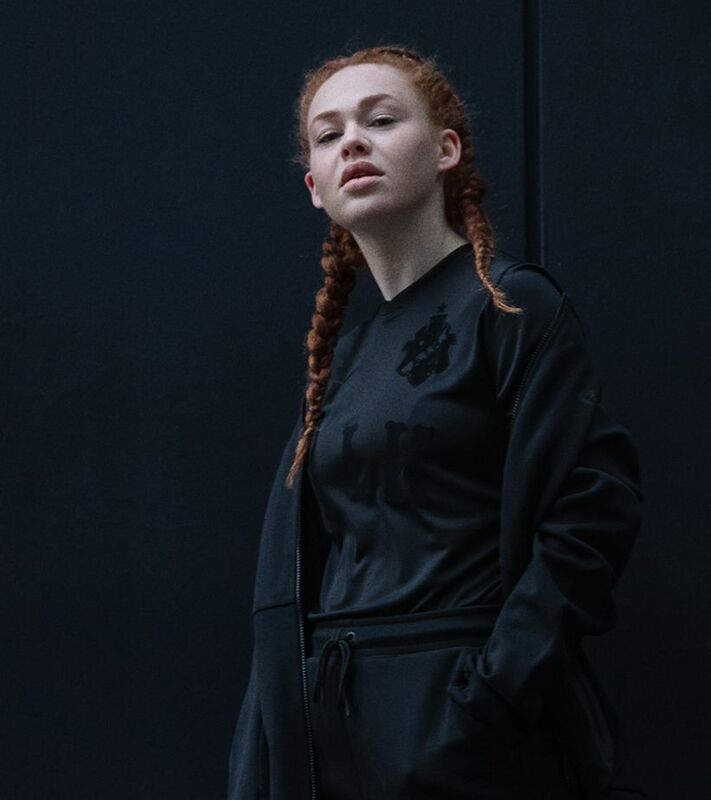 Baller first, designer second, Fabio Nunes founded 24 London in 2015. 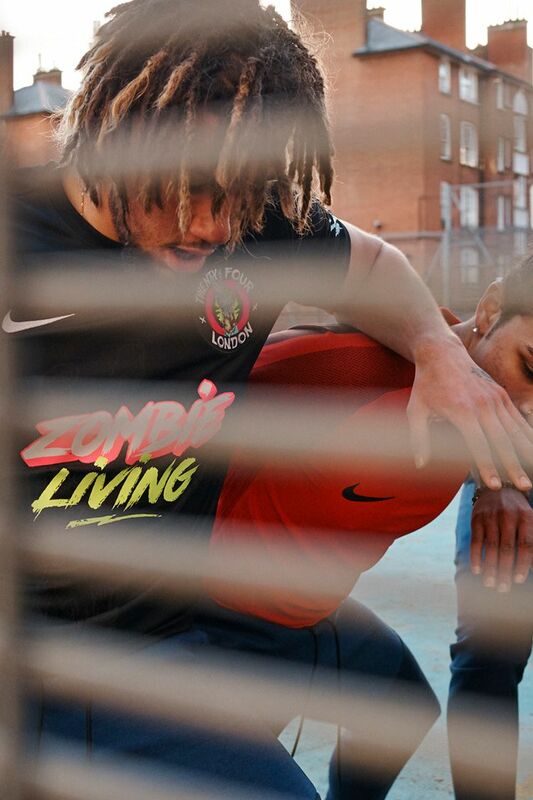 Growing up on the Peabody Estate in Fulham, creativity, and originality have always been part of his life, whether it’s remixing Air Force Ones, creating designs for his next 24 London collection or tearing it up on the left wing. 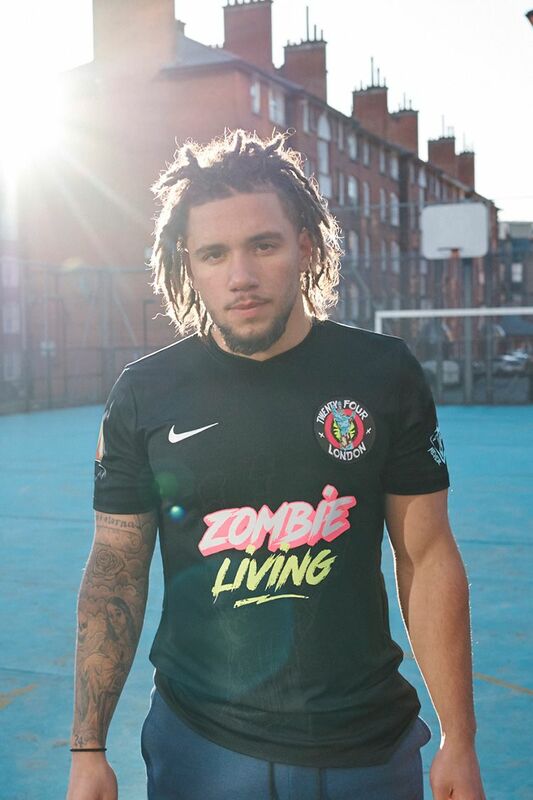 After two ACL injuries in three years, most would have given up on the game, but for Fabio and his brand, that wasn’t an option. His injuries only made him hungrier, feeding his relentless drive to make his mark, on and off the pitch.